I know what you’re thinking. Dog Haus? I thought this was a burger blog, not a hot dog blog. And you’re right. Aside from the obvious rhyme scheme bonus, I have no interest in a hot dog blog. I haven’t been six years old in seventeen years, and I’m not too in touch with my German heritage. Unless I’m at a baseball game, which is actually pretty frequent because baseball is awesome, hot dogs just aren’t my thing. And so, just like you perhaps, I was skeptical. 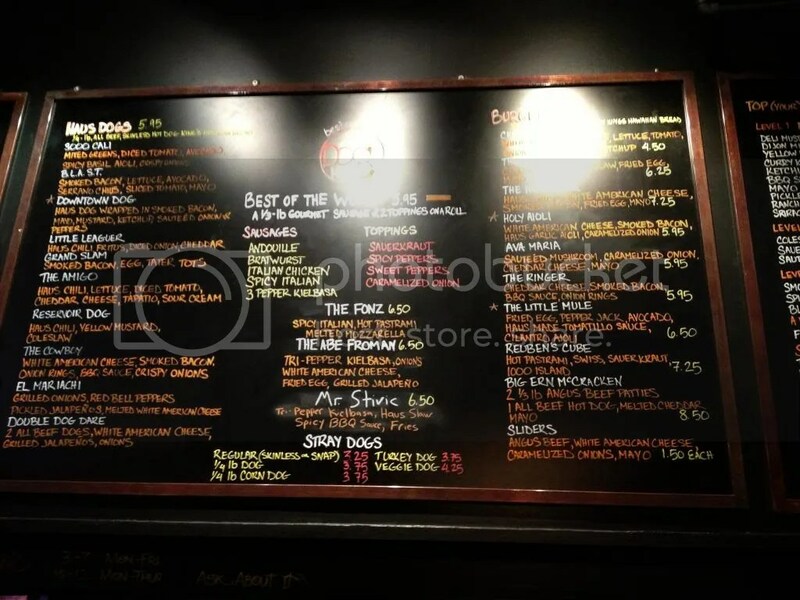 But I’m not known to turn down a dinner invite, so I gave the burgers at Dog Haus a try. 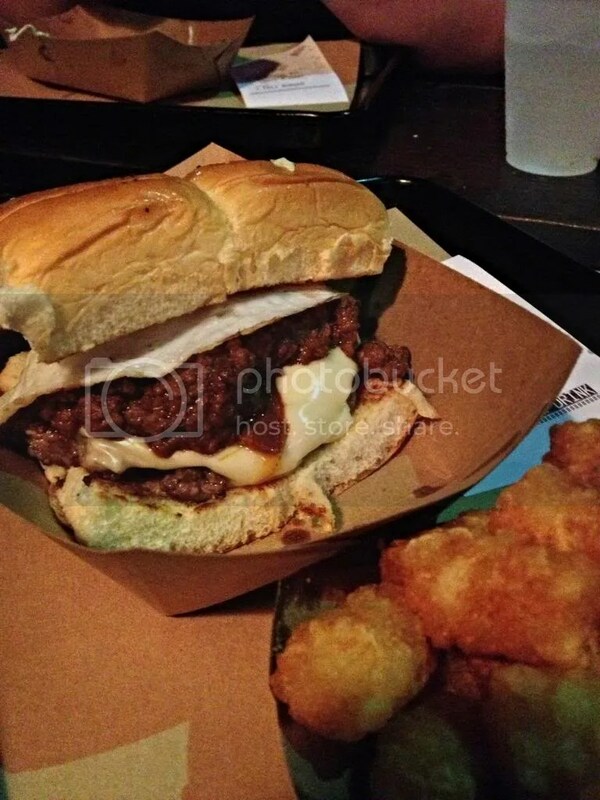 I ordered The Hangover, a burger topped with haus chili, white american cheese, fried egg, and smoked bacon. But before I get into the figurative (and literal) meat of the burger, I need to touch on this burger’s most important feature. The bun. Some burger places opt to use artisan buns and flatbreads to give an edge to their burger. But Dog Haus knows what I like. Rather than bothering with fancy-shmancy buns, Dog Haus situates their burger between Kings Hawaiian Sweet Rolls. Just let that sink in for a second. The sweet rolls that you shamelessly devour twelve at a time now are grouped in fours, sliced through the middle, and burger’d. Kings sweet rolls are soft, they’re delicious, and they make an even better bun than you’re imagining. But did the burger match the bun? Yes. One million times yes. The patty was meaty and juicy, the chili, robust, and the bacon, smoky and salty. And the fried egg! 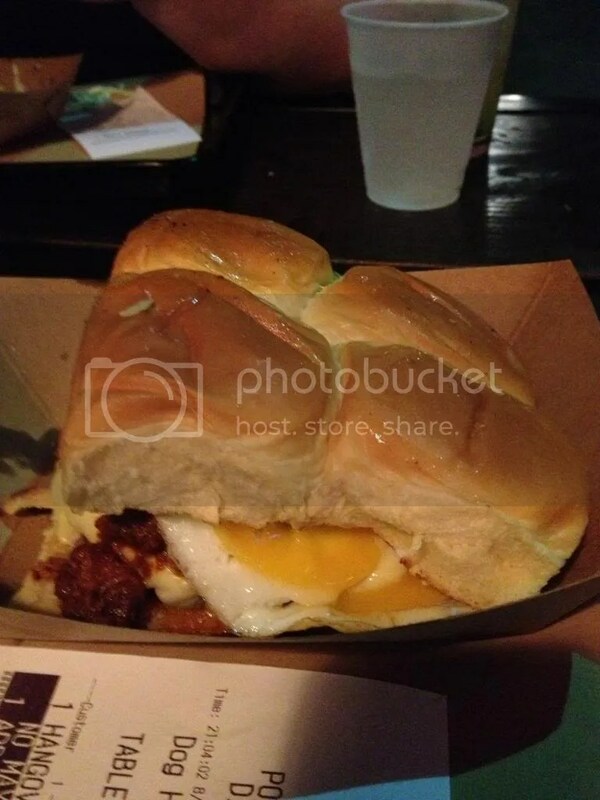 Some places get their fried eggs wrong and it ruins the burger. (cough, The Standing Room, cough) Dog Haus, however, nailed it. With apologies to The Pharmacy, it was the best on-burger egg I’ve ever eaten. The saltiness of the bacon and the chili played well with the sweetness of the bun, making for a dynamic eating experience, but the distinct, fresh egginess connected the burger to the bun, creating a smooth, cohesive bite. It truly was a great burger. I’ve learned my lesson. Don’t judge a book by its cover, but more importantly, don’t judge a burger joint by its hot dog-themed name. What other surprising burger places do you love, readers? As always, let us know in the comments. Let's be friends! Click to follow Burger Diaries and receive notifications of new posts by email.